Gain greater control of your training regimen with the battery 2-function Lobster elite remote. 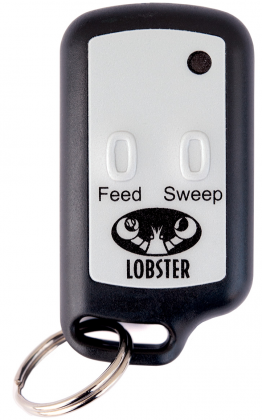 It controls both the feed and the sweep of your Lobster elite series machine. This option may be installed by the owner after purchase. Or individuals may ship their machine to Lobster for a factory authorized upgrade. Compatible with elite liberty, elite one, elite two, and elite three models only.